HappyCleans ✨Should I Book Professional Cleaning Services in OKC? ✨Should I Book Professional Cleaning Services in OKC? Everybody knows that professional cleaning services in OKC can achieve far higher standards of cleanliness than the average homeowner can. But why? What unique things do career maids do that you can’t do on your own? Should you give up cleaning yourself and just hire a cleaning service? In this article, we’ll go over the most appealing benefits of booking a cleaning service and explain how spending some time preparing for a house cleaning can help you maximize the value you get out of your maid service. Read on. Home cleaners are highly-trained cleaning professionals who specialize in providing a slew of different cleaning services. They follow optimized cleaning checklists, know all the fastest ways to clean a home, and have vast experience dealing with different cleaning challenges. Dusting wall decorations such as wall clocks and paintings. Dusting, vacuuming, and polishing the furniture. Disinfecting and washing the sinks. Dusting appliances, such as the fridge-top. Vacuuming and mopping the floors. Reputable maid services also offer specialized add-on services such as cleaning inside the oven and the fridge, as well as inside the windows. A professional cleaning also ensures that your home’s indoor Air quality is in line with modern health standards. A reliable maid service improves your whole life. If that sounds over-the-top, stop and ask yourself: how many hours per week do you spend on cleaning? 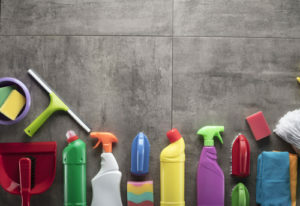 The US average is fourteen hours, plus about $500 annually paid for cleaning supplies. That’s right, you’re spending the equivalent of a part-time job just on cleaning your home. And that’s not even getting into how tiring and gross cleaning can get. Now think about all the fun, memorable things you could be doing with that time and energy. You could spend the day relaxing at a sunny park with your family, or learn more about the world at the Oklahoma City Science Museum, or just enjoy a night out with your friends. By outsourcing your cleaning to a cleaning company, you will have the time to do all that and more. It depends. Cleaning companies normally do not require their customers to tip their maids. That being said, being a cleaning lady isn’t easy. House cleaning is dirty, physically-taxing work that often takes hours and requires the cleaner to lug their equipment around. In other words, just like waiters and delivery workers, maids spend most of their shift on their feet, maintaining a high level of politeness even when they’re tired. Rewarding them with a standard tip is a wonderful gesture that goes a long way toward brightening their day. Take the time to prepare for a cleaning service by removing clutter such as magazines and toys, and choose an area where your pets (if you have any) will stay during the cleaning. It’s a great way to ensure the maids have full access to the areas that need to be cleaned. HappyCleans is a premier cleaning company in Oklahoma City that prides itself on its 100% client satisfaction guarantee, its flat rate pricing that holds no unpleasant surprises, and the total trustworthiness and professionalism of the cleaners we send to your home. Book a cleaning with us today using our easy and secure online booking system. It’ll be our honor to give you the gift of a pristine home.